Astroglide Personal Lubricant and Moisturizer provides whisper-light lubrication for enhancing the comfort and ease of intimate activity. Developed to mimic natural body fluids, Astroglide not only lubricates, but also acts as a moisturizer for vaginal dryness. Astroglide's long lasting super-slick formula is pH balanced, water based, water-soluble and petroleum free. Astroglide will intensify the pleasure and sensitivity for both partners. It is the perfect ingredient for increased sexual fun. It provides lubrication for enhancing the comfort and ease of intimate activity. Water based, water soluble, and condom compatible, Astroglide is recommended for personal lubrication when vaginal dryness causes discomfort. Astroglide is one of the most popular lubricants on the market, and for good reason! Astroglide personal lubricant provides whisper light lubrication for enhancing the comfort and ease of intimate activity. Developed to mimic natural body fluids, Astroglide not only lubricates, but also acts as a moisturizer for vaginal dryness, super slick formula is pH balanced and petroleum free. Astroglide will intensify the pleasure and sensitivity for both partners. It is the perfect ingredient for increased sexual fun. 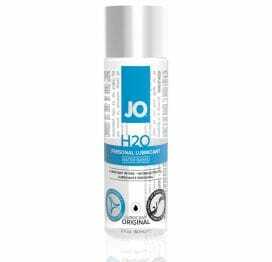 This water based formula has been a favorite of lovers for years, thanks to its superior performance and feel. Lubricant washes away easily with water, and the clear formula is non staining for easy cleanup.